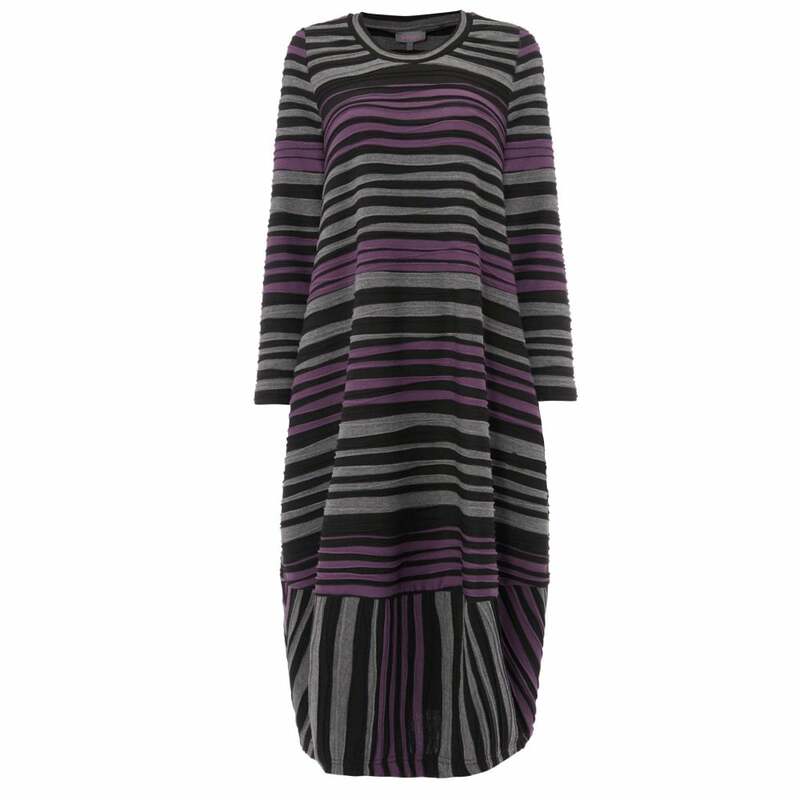 We love the subtle colour on this chic and versatile jersey dress. With three quarter length sleeves and added volume to the bottom of the dress it looks great on all figures. The black and damson shades fit in perfectly with an autumnal wardrobe and this dress features a band around the hem. We think its looks great paired with tights and brogues for winter.